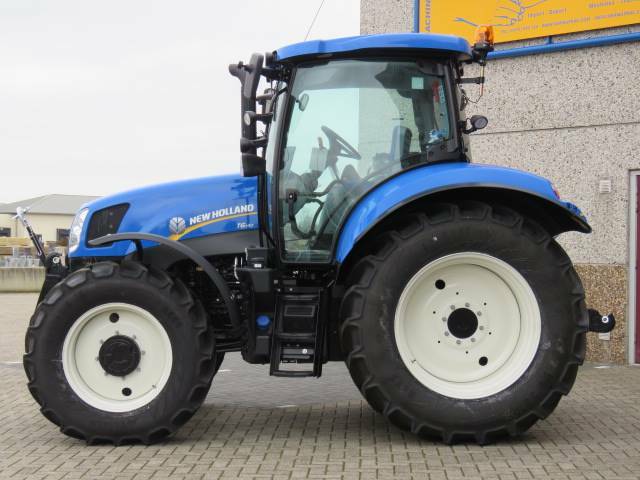 There are six different models with either four or six cylinder engines in the brand new New Holland series. 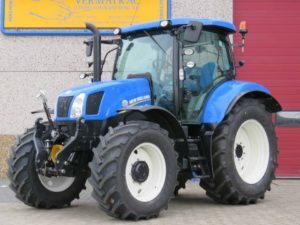 The four cylinder ones are called T6.140, T6.150 and T6.160 and have turbo-diesel engines, while the other having six cylinder power-plants are the T6.155, T6.165 and T6.175. Of course, the numbering of these models is rather confusing, but the manufacturer thought of a numbering system that is related to the number of horsepower of each model, which can also be tuned up using Engine Power Management. Therefore, the four cylinder models have a third digit of the number of horsepower converted to 0 (zero), 143 HP becoming 140 from the name of the model, while the six cylinder models have the third digit converted with a 5. The engines of these models are Tier IV compliant and managed to do that using an after-treatment fluid, the AdBlue diesel exhaust fluid. This was developed as part of a partnership with another company – FPT Industrial. As compared to the old engine standards, the EPA Tier III, these engines still provide the same power and torque, while consuming up to 10% less fuel. The lower consumption is due to several factors, among which: the optimal level of diesel exhaust fuel provided by the AdBlue tank, being B20 biofuel compatible and a very efficient idle management system which lower the RPM from 850 to 650 whenever it identifies idleness. With regards to the transmission, the engines come in several setups: 16×16 electroshift, 24×24 dual command transmission (Hi – Lo), 17×16 Autoshift and 16×16 Autoshift with power shuttle. Provided with a three point hitch for installation of the attachments, the 90 millimeters rams can be used to lift up to 6,310 kilos. 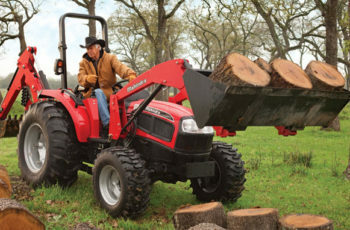 For these models, the 3 point hitch and the PTO were optional in Europe, but meanwhile made available in North America as well. 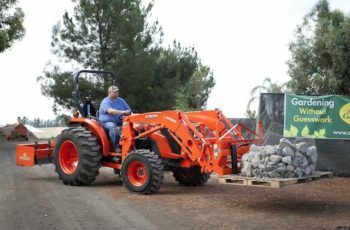 The rear 3 point hitch is controlled using a draft position control system using a single switch for raise/lower and has an electronic draft control which makes it easy to manage the position and action of an implement. A very good option offered by New Holland refers to the steering function. While the default steering angle is around 55 degrees, the SuperSteer option adds an extra 10 degrees to it, which counts enormously when going through tight crops rows. This degree addition also helps the turning time be lower with up to 35%. Other options are TerraGlice and TerraLock. While the first helps keeping the traction at 100% no matter the conditions, the second offers the possibility of switching it to three positions: off, automatic and full-time. Each of them can be ordered only if the other or the SuperSteer is also available. The operator’s room, known as the Horizon Cab is very spacious and provides 360 degree visibility, resembling with the one from Massey Fergusson 5609. It has a low profile roof and ride suspensions that increase the comfort level. Extra options refer to air conditioning systems, pushed through 12 vents and climate control.